Byblog is a WordPress with that is suitable for any kind of blog. With many useful customization options, you can easily build your desirable blog layout. To help you easily setup your blog, we have bundled 10 different kind of blog demos with the theme. All demos can be imported with just a click of mouse. 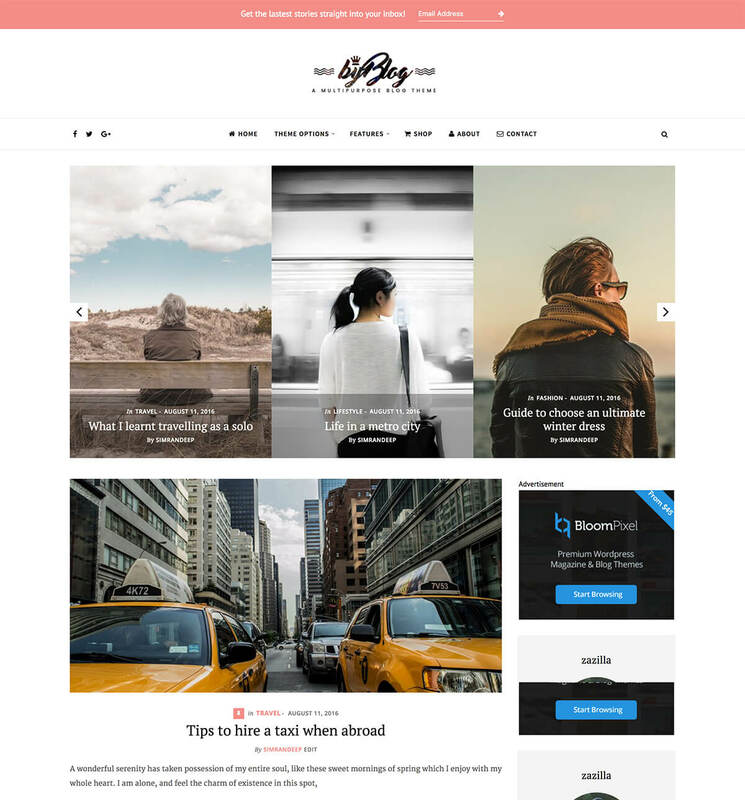 Theme comes with 10 different blog layouts. You also get the options to choose different layouts for archives and search results pages.